Measurements transmitted directly to your mobile device. For billions of daily measurements we waste time and make mistakes transcribing numbers. The world needs instant transmission and storage of measurement data. And people need software tools and apps to use the collected data. 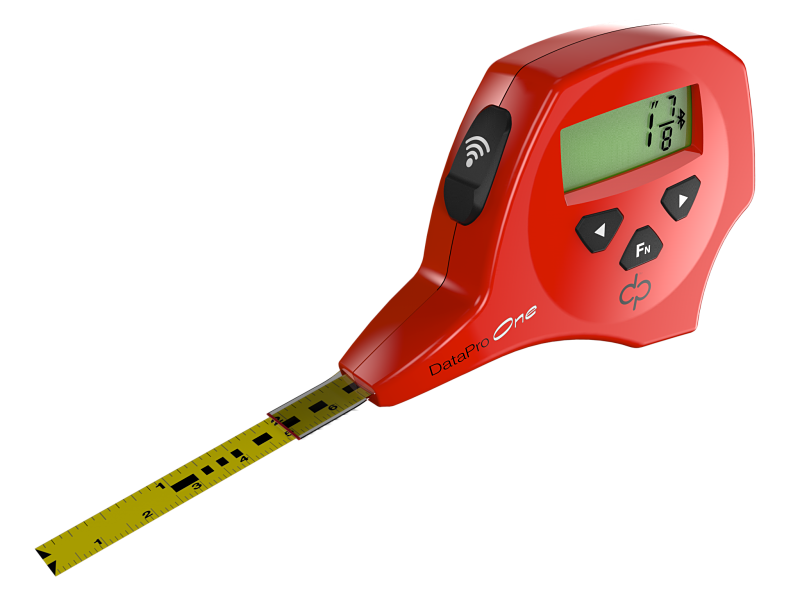 Our founder Steve Crane patented the world's only successful digital tape measure design over three decades ago. Now mobile apps and software open a whole new world of functions to the third generation of Crane's products. 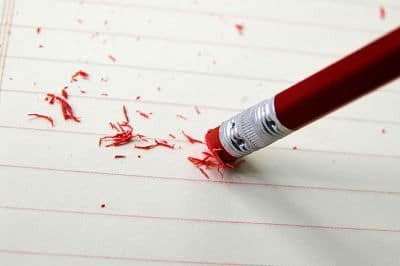 Forget the adage "measure twice, cut once." 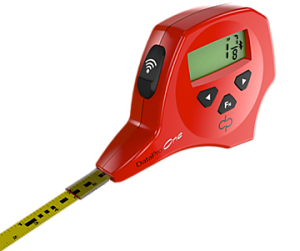 Our digital tape measure removes mistakes transcribing numbers with Bluetooth. Download the DataPro apps and save your measurements with a click of a button. Use the app to instantly access your data. Save your measurements and share across devices and with colleagues and friends. Download our app and save your measurements with a click of a button. Use the app to instantly access your data. Software apps include the DataPro Spreadsheet offered for free download on Google Play. Our company is actively creating and connecting to new apps. We are also developing a firmware upgrade that will allow direct Bluetooth connection for custom industry applications. A construction foreman uses the DataPro SPC app along with a DataPro25 tape measure to check placement of rebar in a foundation. Municipal codes dictate a required spacing of the 800 pieces of rebar used in this building project. The app reports the maximum and minimum distance, and standard deviation. 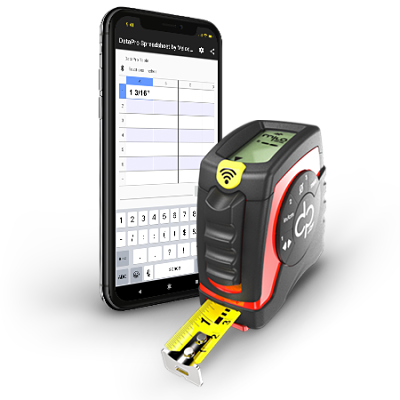 The foreman can set an acceptable range or “control limit” that will sound an alarm on the mobile device if a measurement is out of specification. Data is transmitted directly to where it belongs. There is no opportunity for error in reading the tape measure. Nor can the operator make a mistake by mis-remembering the number or by transcribing it incorrectly. 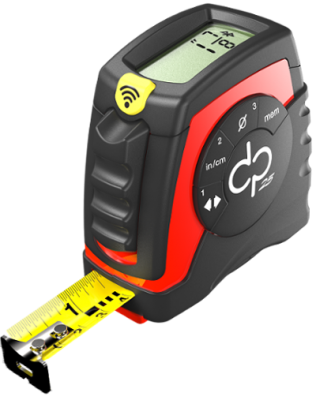 A small flooring company uses the DataPro Floorplan app along with a DataPro25 tape measure. 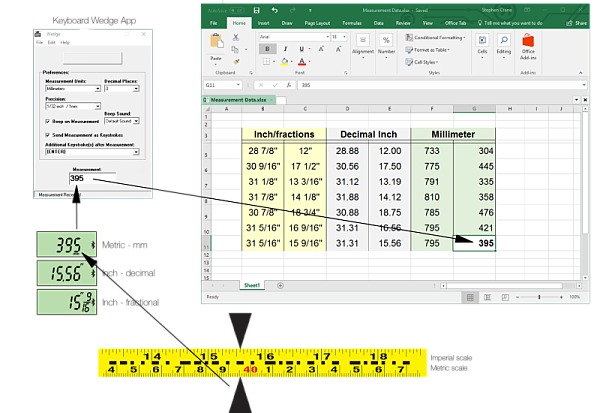 There is no faster way for an estimator to create a scale dimensional floorplan. As soon as the measuring tape is extended to the appropriate length the measurement can be entered. Then on the mobile app the next unknown distance flashes for the user to enter that measurement. The app calculates area and material requirements. DataPro Tools allow the user to switch between metric or English units, decimals or fractions. When cutting tiles for an odd shaped corner, the flooring installer takes a photo of the area with her phone. She opens the photo in the DataPro PhotoDimension app. She takes measurements of the corner with her DataPro tape measure and sends each to the PhotoDimension app.. These measurements appear as drafted dimensions on the image to help the installer lay out her tile cuts. A custom window manufacturer makes the switch from using regular tape measures in their manufacturing process to the DataPro25. A decade ago, job orders were printed on paper for material kitting and assembly specification. Now that these orders are managed by electronic job tickets, the company will use DataPro hardware to associate measurements for material cuts and quality control with the tickets. Errors are eliminated and efficiency is improved on the manufacturing end. 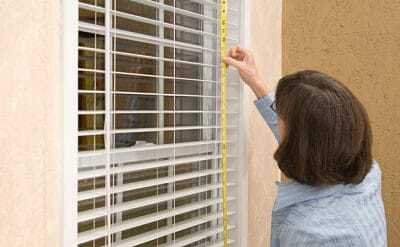 A custom window blind and shade business uses the DataPro16 tape measure for a completely different consumer-facing application. They send prospective customers a free tape measure when that person downloads their quotation app to a mobile device. The customer uses the “inside measure” function of the DataPro16 to measure window dimensions – inside height and inside width. Industry estimates suggest that 15% of new window shades must be discarded due to mistakes in the measurement-to-install process. This waste can be drastically reduced with the use of DataPro Tools. 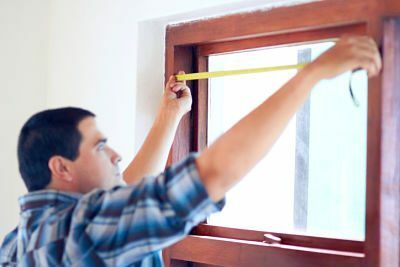 Because measurements may be taken and recorded more quickly, it is easy for a Do-It-Yourself homeowner or professional installer to double-check dimensions. Redundant measurements for quality assurance may even be built into the data collection apps. Almost instantly after the prospective customer submits their window dimension data through the app they receive a detailed price quotation. Coupled with DataPro hardware, the sales quotation app makes the purchase process easy. 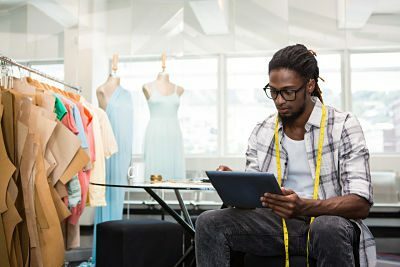 A top clothing fashion design house uses the DataPro One tape measure along with the DataPro Spreadsheet to rapid prototype new apparel offerings. Shortened concept-to-production cycle times and high product turnover in the industry dictate the need for efficiency and systemization. Spanish retailer Zara reportedly introduces one thousand new designs per months with a mere one-week product development time. As the fashion house creates each new product it attaches measurement data to the digital files for that SKU. Entry of measurements is as easy as pressing a button. Size and fitting measurements of clothing on models can be accumulated over time and be analyzed to determine ideal dimensions. Pattern layouts and cut pieces for prototyping are more easily checked against specification. The apparel design process moves faster by eliminating steps of transcribing numbers. The collected data can be leveraged to optimize consumer offerings and value. The first commercially connected tape measure was his "Digitape Plus"
The eTape16 is another of Stephen Crane's inventions. 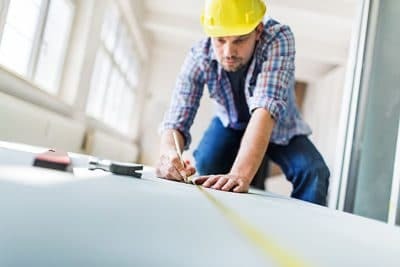 Our products are redefining the tape measure to adapt to the changing needs of commercial users as well the the serious professional and DIY user.